UPDATE 15:27UTC We have confirmation #BA460 safely landed at Bordeaux (France). UPDATE 15:11UTC #BA460 is diverting to Bordeaux (France), could be pressurisation issue. UPDATE 14:49 British Airways #BA460 is now diverting to France. 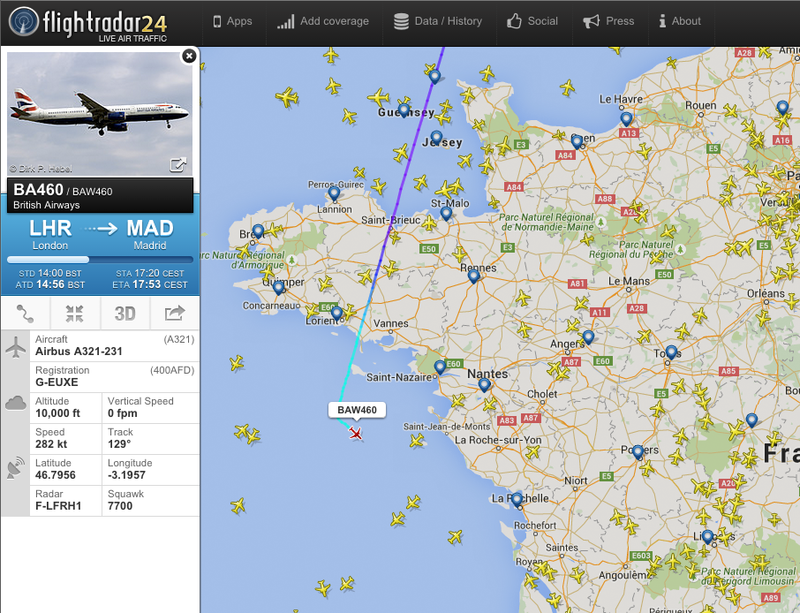 UPDATE 14:45UTC British Airways #BA460 didn’t divert to Nantes, so no medical emergency. UPDATE 14:40UTC British Airways #BA460 to Madrid is now holding 10,000ft, continuing. UPDATE 14:38UTC British Airways #BA460 from London to Madrid is starting descent.